To improve the quality of life of persons on the Autism Spectrum and their families through education, advocacy and support, thereby enabling them to be an integral part of the community. Autism Action Partnership works to create and fund programs that fill critical gaps in Nebraska autism services. Currently, according to one measure, Nebraska ranks 37th in the nation for the delivery of disability services by State Medicaid. Nebraska has sustained a staggering increase in the prevalence of autism in children and young adults ages 3 to 21 in the past ten years. The prevalence of autism is expected to continue to rise. More children will be diagnosed with autism this year than will all other developmental disabilities combined, underscoring the urgent need for increased and improved autism services in Nebraska. With the funding and support of Autism Action Partnership and the leadership of autism stakeholders in Nebraska, autism services across the state will grow and expand to meet the increasing demands for autism programs and services. 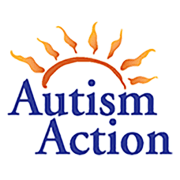 Would you recommend Autism Action Partnership?